house, it was time to move. have sold for $119,000 (£58,000) at auction. could fetch up to $1 million (?700,000) at auction. 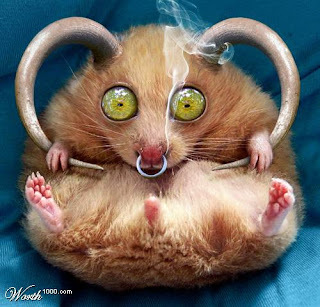 Today on the Worth1000 photoshopping contest: "Deadly Cute" -- cute animals photoshopped into sheer viciousness. To read classic fiction is to know that if the heroine gets wet, a swift descent into brain fever and death bed scenes is assured within a chapter or so. What was actually wrong with these swooning creatures? ASHTON HAYES, England - A small community in northwest England is hoping to become the country's first carbon-neutral village and considering the power of poop to help make it happen. Globally human populations are growing, trade is increasing, and living standards are rising for many. But, according to the UN's latest Global Environment Outlook report, long-term problems including climate change, pollution, access to clean water, and the threat of mass extinctions are being met with "a remarkable lack of urgency".